Love it! Fast, hidden, and no cables to run. My motherboard has a M.2 socket, i don't wanna waste it. Its Samsung, its compact, and it saved me 20 minutes of cable cleaning. M.2 forever! This is the key to a clean looking case. Its reliable, and fast. So pleased with this little thing. I bought one to boot from, then seeing how good it was bought another. I will always use M.2 from now on. Fantastic. 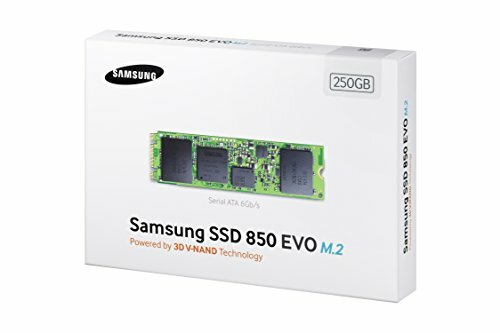 I've recently become a big fan of M.2 SSDs, even though this one is a sata drive capped at about 10gb/s, I have one in my own pc and it is surprisingly fast. Not to mention it is the size of a stick of gum and doesn't require any cables or case space. 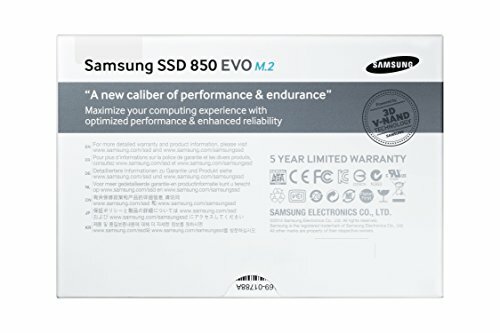 They're also about the same price as a normal 2.5" SSD nowadays so the choice was clear. Really quick, and no cables or wires to mess with. I read some reviews about them getting hot but I haven't had any issues with that. i wanted to go m.2, i choosed this one as it was cheap, and enough capacity for me as its only used for OS and apps i use. 4stars because i expected a bit more then it offers-speed wise. dont take me wrong its still very good! well, money spend well here anyway. Small and fast. PLUS, no wires!